A temporary sign. I kind of like it though. How about you? 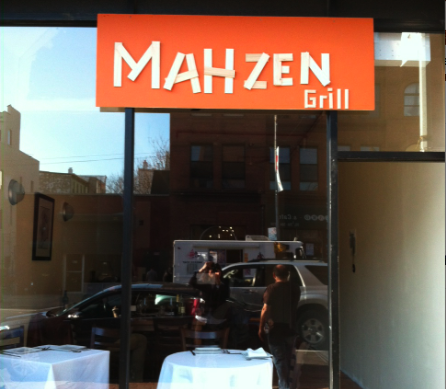 One of the most interesting things that I want to share with you about Mahzen Grill is the wine list. Mahzen is the place where I was first introduced to Turkish wine. Where has this been all my life?! was my reaction to my first encounter with Sultana de Denizli, a white wine that tasted a bit like a briney, confected seashell. Though wine is not something we usually associate with Turkey, it has been produced there since, well, since the beginning of wine. With the Black, Aegean, and Mediterranean Seas all around, the Euphrates Valley in the east, elevations toward the country’s center reaching up to about 4,000 feet asl, various microclimates, mineral-rich mountains, and seaside soil, Turkey couldn’t be better situated in location or natural resources for quality winemaking. Which was what was happening there with those fun-loving Persians, until the Ottoman Empire came along at the very end of the 13th century, and with it the Muslim religion. No alcohol, yo. No fun either. Damn. The stunted growth of promising wine producing regions can be seen throughout history thanks to challenges such as religion, pylloxera, and Prohibition. Don’t let it keep you down Turkey! Let your phoenix rise! And it is doing just that with the help of a few dedicated wineries, including Kavaklidere, which is the main Turkish producer on Mahzen’s list. There are also a number of noteworthy Italian wines going on, but let’s keep to the east today. Turkey is actually among the world’s top grape producers by volume, though many of those grapes don’t make it into wines. Ampelographers have identified hundreds of vitis vinifera varieties indigenous to Turkey. International grapes are being planted in place of the homeboys, and so many of these typical vines are at risk of becoming extinct. Varieties like Emir, Sultana, Narince, Bornova Misketi, Kalecik Karası, Çal Karası, Boğazkere, and the grandest of them all, Öküzgözü, which has the potential to make full, age-worthy wines. These are found in regions of diverse terroir: Thrace, Çanakkale, Manisa, Izmir, Denizli, Ankara, Tokat, Nevsehir, Elazig, and Diyabakir. Pronunciation of the regions and varieties may be a little intimidating when reading the words. When you hear them spoken in their lyrical language, it all makes sense. Like anything, just give it a try. Speak it out loud. Let those “Z”‘s roll…. And how are the wines? It is hard to offer a real rundown as I have tried only a handful, all from more coastal regions. They were unctuous in body, as though they have some essence of olive oil. But still remarkably vibrant, high in acid, and overall some of the most pleasantly unusual wines I have tasted in good while. I will certainly be on the lookout for more and more. The most important thing, though, is how they pair with Turkish food, and that is the key to their brilliance. When together, all is right. 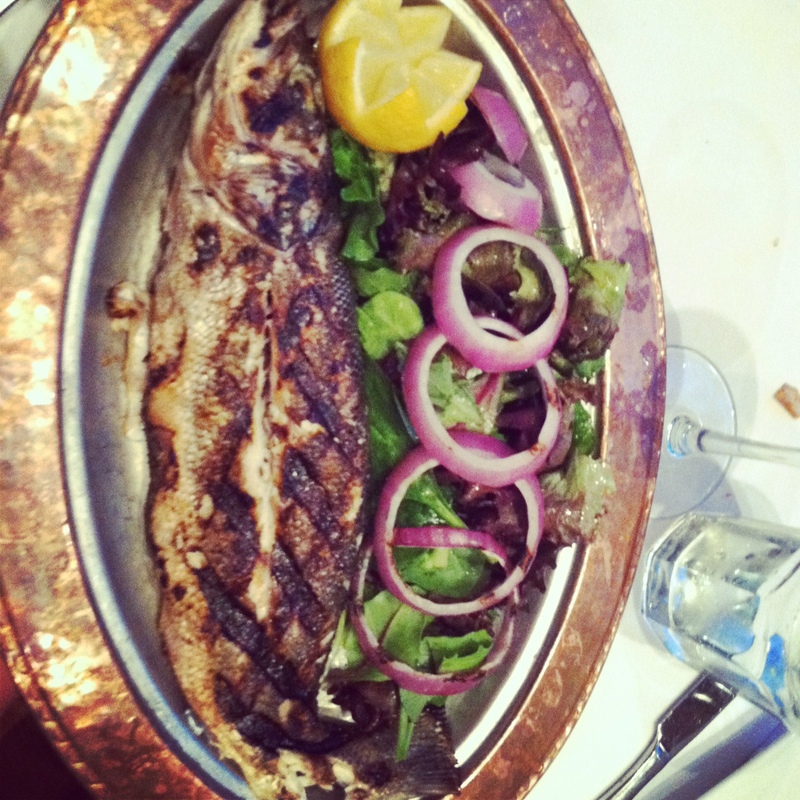 When matched with dishes steeped in tradition- stuffed grape leaves, bean cakes (way more glamorous tasting than they sound), zucchini pancakes (fried, yet so fresh), branzino, (bone-pickin’ goodness), lamb shish kebob (fugghet about it), it all makes sense. Appropriate, exotic, regional tradition right here in Brooklyn, NY. 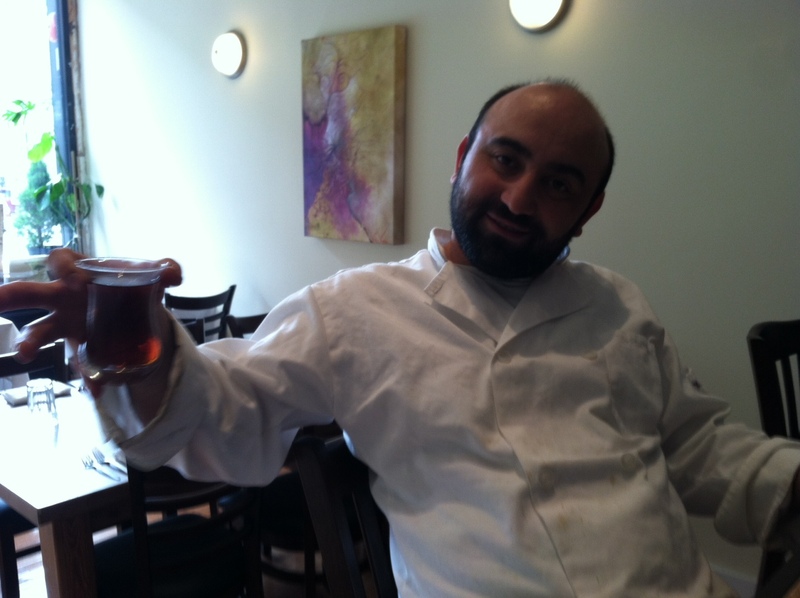 This Sultan of Swing demonstrating how to properly hold a cup of Turkish tea.